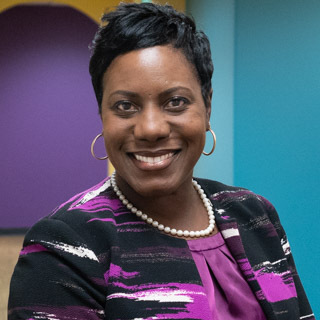 Stacy Johnson is an independent contractor for ERC, specializing in emotional intelligence, leadership development, employee engagement, performance management, and team member effectiveness. Stacy's approach to training is fun, engaging, and experiential, allowing participants to apply their classroom skills across the workplace and even in the boardroom. She has experience in various industries, including health care, insurance, higher education, and professional services. Prior to ERC, Stacy held leadership roles at the MetroHealth System, State Farm Insurance, and Meyer Distributing. She received her master’s degree from Case Western Reserve University and her bachelor’s degree from Slippery Rock University. She has certifications in DiSC and TetraMap assessments. Outside of work, Stacy enjoys playing tennis, traveling, and spending time with her husband and daughter.